It started raining. 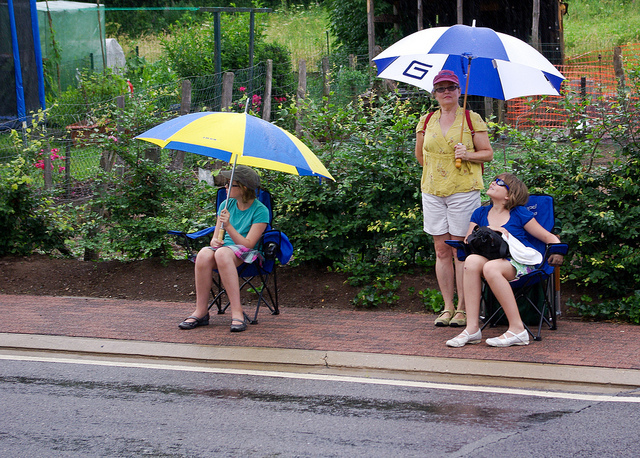 The stalwart parents who attended their children’s hockey game opened their umbrellas. A few stalwart cats were searching through the waste bins. None of his friends was surprised when his stalwart attitude finally earned him the glorious career he deserved after so much work. The political party’s meetings were so boring that only a couple of stalwarts were listening. The director’s latest movie is less good, but stalwarts are pointing out that there are many creative, even daring features in it.